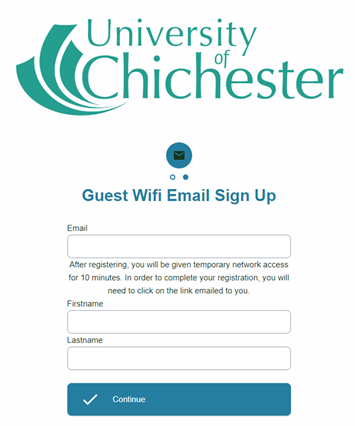 If you are staying in halls of residence, in order to have the best Wi-Fi experience, you should sign up and connect to both UoC-Guest and Glide. Most devices will automatically connect to the appropriate Wi-Fi as you move around campus. Once activated you will have one year’s access to guest Wi-Fi on campus. After that year you will need to re-register. 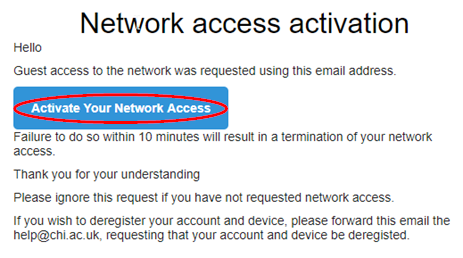 You can register more than one device with the same email. Follow the same process for each device. 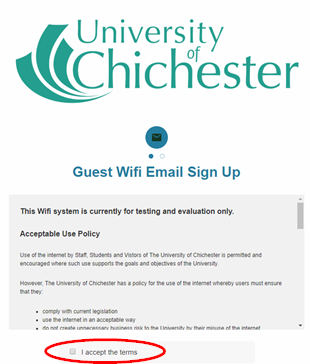 If you would like the University to remove your records from the guest Wi-Fi system, please email help@chi.ac.uk from the account you wish to be removed stating the request in the email. You will need to enrol on Glide before you can use Wi-Fi in halls of residence. Glide also have a support page. Our mobile app is available to students, staff, guests and visitors.